Love is a verb. This is one of the great truths about love that our culture fails to teach, one that, even when we understand the principle, we need to remember it and practice it over and over again. I think of marriage or any long-term, committed relationship with a willing, open partner as an opportunity to practice loving – the active form of the verb – day after day and year after year until it becomes second nature. The culture teaches us that we’re supposed to know how to love from the day one. What that really means is that we think we’re supposed to feel in love early on. This isn’t possible. Like any skill, it takes 10,000 hours to become an expert at loving. From the practice the feelings arise – a nice frosting on the cake of love – but we don’t practice loving so that we feel in love. We practice loving because we know in our hearts and blood and bones that the task of learning how to love well is one of the greatest gifts of being human. Is it really that “simple”? I have been showing so much love. Because I truly want to. And yes, I feel more loving towards her. But I still feel very uneasy. Not much changes in my heart. Ah, butterflies. It is a drug, isn’t it Mr. North? That feeling of time and space collapsing to a pinpoint until nothing exists but you and your lover, your souls becoming one in a rapturous explosion of light and feeling? Everything suspended, like a film on pause? Have you had that experience? The heart palpitations? The intense longing? The feeling that every moment in her presence bristles with energy? If you’ve had that feeling, count yourself lucky, I guess. You know what the poets are making a big whoopdy-do about. From the vantage of 25 years married… I look back on the last time I had butterflies—over 30 years ago—and it was over a man who was a serial cheater. What did I have in the end? Dead butterflies. Think of the great love stories, Mr. North. Romeo and Juliet. Antony and Cleopatra. Lots of passion and yearning and cortisol spikes and oh, crap, look, tragedy, too! Shakespeare, the greatest psychologist of them all (no offense, Sheryl), he knew the drill, big love means big trouble. That’s always how it was for me, anyway, flat on my face in dog poo…every time! In my experience, it doesn’t feel quite so perilous when someone really loves you back. That vertiginous sensation of being completely out of control in free fall without a parachute, never existed when I felt loved. Because I felt safe, well, or “safer.” Let’s be honest, I wouldn’t be reading Sheryl’s wise words if I felt completely safe. And given our temperaments—we are both passionate, noisy people—the relationship has never lacked for all the things that come with passion. Relationship anxiety for me. Career anxiety for him. Fights. Deep affection. And profound love, the profoundest I have ever known. Like breathing it is, that vital. We’ve grown up quite a bit, Mr. North, and endured the many mistakes of our humanness and the triumphs, too. Do I feel “love” every day? No, not really. Sometimes, I hate him like crazy. And sometimes, I must to admit, he’s a bit like the furnishings. Kinda there. It’s during those fallow times that it’s important for me to feel in love with my own life and my own creative projects while also finding ways to lean into him. Years ago after he had been gone for a week backpacking, I made him a peach pie for his return. I had missed him, but not desperately. But in the act of making that pie, something I knew he would enjoy, I felt so warm and connected, well, it was then that I learned, love is action. Go make your girl a pie, Mr. North. Whatever that looks like for her and for you. And hopefully in 25 years you will still be riding those undulating currents of love. Up and down, and around, like a dance. How do we get from where Mr. North is to where Leslie is? We make a commitment to learn the Love Laws and Loving Actions so that we can practice them daily. Mr. North shared that he had been showing his partner love but “not much” changed in his heart. If I were working with him personally, I would question that statement, as part of what keeps us stuck is the failure to see and record the micro-changes, the small cracks of light that indicate an opening in the heart. I would also share with him that nothing will change when we’re practicing loving in order to feel in love. We must practice loving for the sake of growing our capacity to give, not with attachment to the outcome. This isn’t easy. We’re so addicted to the feeling of love and, like Mr. North, have used this feeling as a barometer of a great relationship: “I have always believed that love is a feeling, and I have used my feelings as a compass when it comes to love. 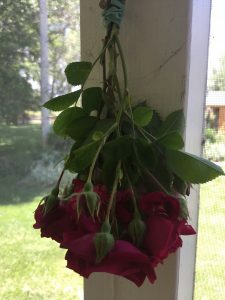 I keep failing.” In order to feel genuine love and attraction for our partner, we have to let the old and unhealthy paradigm of romantic love shatter and wither so that the new paradigm can grow in its place. When you learn and practice the Love Laws and Loving Actions, the feelings do arise and genuine attraction emerges, but it’s not what you think it’s supposed to feel like. It’s not butterflies. It’s not fireworks. It’s something so much more calm, healthy, and sustainable. It’s oatmeal. If you would like to learn these Love Laws and Loving Actions and practice them daily alongside a group of learners, please join me for the 13th round of Open Your Heart: A 30-day program to feel more love and attraction for your partner, which will begin on August 18th, 2018. 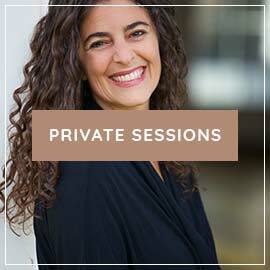 I launched this course in May 2013 and it remains one of my favorite courses to run, not only because it’s deeply inspiring to witness people opening their hearts but also because every time I run it and review the daily practices myself, my heart opens wider and my love for my husband shines more brightly. We’re always learning, always growing, always expanding our capacity for love. I look forward to seeing you there. Dang, Leslie! Dropping the wisdom! Wow. This was so cool to read. I want to keep growing in my capacity and ability to love like that. It’s so helpful to hear from someone who has been married for 25 years, what she thought when she first met him (essentially, hey, this seems like a great person) versus ‘love at first sight’. I have struggled with this because although I did have the ‘butterflies’ for the first month or so of being with my partner of 6 years, the night I met him I thought he was very interesting and unique, but also that he looked a little weird. I feel bad saying that but that’s my mind for you! Clearly it was something deeper in me that was drawn to him than my judging and evaluating mind. Almost like a whisper that made me pause. Thanks for this post! I hope you keep doing the love dance too, Mr. North. And Leslie, THANK YOU! Yes, amazing wisdom coming through. I’m so glad it was helpful! As John Mayer so beautifully echoes: “Love ain’t a drug/ Despite what you’ve heard/ Yeah love ain’t a thing/ Love is a verb”. This post needs to be printed and framed on every wall of everyone who is in relationship. Thank you, Mr. North. Thank you, Leslie. And THANK YOU, Sheryl! This is one I’ll be printing out. Artists sometimes sing the truth (yet so often the pop message centers around the infatuation theme). Yes, John Mayer! I loved reading Leslie’s response. So much wisdom in that story. This post is great! But…the poster is wrong about Shakespeare. Shakespeare’s greatest love stories live in his comedies, not his tragedies. All of his comedies feature the kind of love that produces “butterflies”, and many them end exceedingly well for the lovers (it is true that some end on a more ambiguous note, and some are downright gloomy). This might seem like a pointless comment to some, but I think it is important to be rigorous and specific when we talk about our greatest psychologist. And to respect the comedies, which belong to Shakespeare’s women. You are right. I made a big, ol’ sweeping generalization that would never pass editorial muster. I totally believe butterflies can flap their wings and send couples into lifelong relationships, just like the Bard demonstrated over and over. But by the time I met my husband, my heart was so cautious, having been flapped about by too many butterflies, that I’m not sure it was flappable. I also think infatuation thrives on uncertainty and travail and barriers to love. 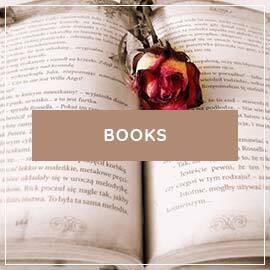 If one’s personal narrative has those elements, one is likely to experience more agita and excitement. I suspect the narrative arch of a Shakespearean comedy would read a lot like the experience of marriage–ups and downs and mistaken identities with much of it coming together in the end, on repeat over and over. Though it’s been a long time since I’ve cracked my Complete Works, and I’m generalizing in a comment, as one does. Years ago this was such a huge area of stuck for me. I could not understand how it could ever feel okay to be past the infatuation stage. It felt like tar, this belief that I could never move away from. But somehow, through time, and circumstances, and reading words from you and others, this strong belief shifted. It is possible! Hi. Well,I have been dealing with anxiety in my relationship for a long time… sometimes it recedes, sometimes it intensify.I often wonder like..if we were like this earlier,I wouldn’t be doubting myself and my relationship and things like that. Wow Sheryl, again a post that hits right where I need it just now. I’m working through the break free course, but it’s 2 steps forward, 1 step back and I’m currently in a step back. I have to keep reminding myself I’m learning to tread a new path and move off the old.Thank you for your work. Healing is spiral, not linear, and patience is key. I’m glad the post hit home ;). what does this mean? is this what infatuation really about as mentioned in the article above? Hi Gopika. I read the article and it definitely spiked me. It makes a lot of sense and makes things feel clear to me, but seems to go against Sheryl’s advice? I can understand why it spiked you but this is someone who doesn’t understand relationship anxiety and the role that fear and doubt play in the realm of love. This is why I recommend not googling when you’re in the throes of relationship anxiety. Thank you Sheryl. I did take a few breaths and took a moment to really think about it, and fear is such a party of my life that I can see how easy it is to get skewed by such articles. Thank you for putting me back on track! I am humbled and honored to be quoted because even after all these years, it still feels like there’s so much to learn. Which is why Sheryl’s voice is important and those of other experts who understand what challenging territory modern marriage is today. I, too, feel that there’s so much to learn. If love is infinite than learning about loving must be infinite as well. Thank you for your humility and your wisdom. I hope you don’t mind that I mention that I sometimes write about love and marriage at https://www.swayblog.net. There are no answers here, just stories, like how I once through a stapler at my husband (not proud). My hope is to show that marriage partners can be fallible and still be in the game. And that it’s OK, maybe even more than OK, to show the fault lines that tremble from time to time. After spending 3 months apart during summer break, my boyfriend of 6 months and I are about to see eachother in a week. I’ve never felt much doubt in our relationship, but as the summer has gone by I’ve thought about him less frequently and I’m starting to panic that maybe I’ll see him next week and it’ll be awkward and I won’t want to be physical with him. We talk almost every day but I’m worried that I’m going to change my mind and not want to be in a relationship anymore. I brought this up and he said sometimes he has the same worry (which of course made me feel even more worried). What should I do to make this transition back into being in a close distance relationship easier? The last serious relationship I was in I began panicking about my feelings in the relationship which led to me becoming so anxious that I ruined it for myself and we wound up breaking up. I’m scared of making that mistake again. Thank you. I remember this exchange. SO good! Thank you, Mr. North, Leslie, and Sheryl! This is gold. Dear Sheryl, it’s like you can read my mind. I have been struggling with something similar lately. But I do have one question. My boyfriend lacks passion in life (and for life). His depression is too hard to handle sometimes…for both of us. I see this as a red flag…but is it really? I feel as though I am falling into a pit of despair when I see us doing nothing in life. His career is stuck. I don’t feel like I can make too many long-term plans because I don’t see him standing up for himself, he isn’t driven enough to get anything done. I know he loves me. He really does. But when we are together, I feel very anxious because I don’t know if I actually love him back. I am actually not sure if I ever really loved him anyway? I care for him and I appreciate him. I really do. But love? I’m not so sure. Also, the passion is gone…so sexually we don’t connect anymore. Or it’s more like I don’t feel connected and keep turning him down. And then my anxiety kicks in like a tsunami when we are together and I can’t seem to feel the same way, let alone be honest about it. We can be good friends and talk about things, we are open to learning about what the other one is feeling. But I haven’t even been able to talk about this at all. Is this a red flag? Is this normal in a relationship? Thank you so much for this blog. I know I’m not the only one – but you have shifted my way of thinking, being, and loving, and I remain in a healthy relationship with a wonderful man because of it! So good to hear, Catherine. Thank you. 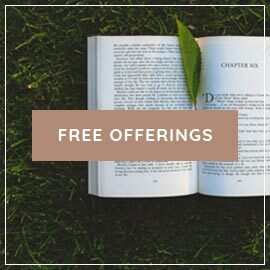 I just finished your conscious bride ecourse (even though I am not engaged yet) and I signed up for your Open your heart course coming up. 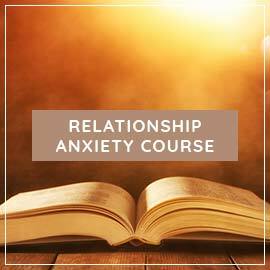 I am actually wondering if I should the relationship anxiety course instead? Can you tell me the difference? Basically I have been with a wonderful guy that I love but never felt “in love” which has caused me great anxiety. He wants to marry me and I want my future husband to be him because he is perfect… yet I worry that after a year of dating I never felt the “in love.” HELP! I am 34 and realized most of my serious relationships ended this way. I am terrified of making a mistake. 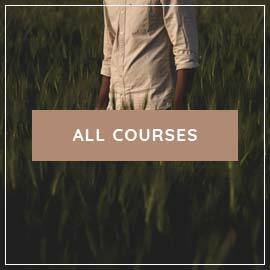 Both courses would be great for you but if relationship anxiety is your main concern right now than I recommend starting with Break Free. Sometimes I wonder whats wrong with me.. And I feel im not enough for him.. I asked him to dig deep into his projection yet he asked me to do that not him..I dont like it when he withdrawn. I am 25 years old and have dealt with anxiety for as long as I can remember. I have been with my now fiance for almost 7 years and he is absolutely wonderful. He is not perfect by any means and we have worked through many difficulties as a couple but he has so many amazing traits and qualities. I love him and I know he loves me and cannot imagine life without him. We have been long distance for the past 2 years as we have both been in graduate school and these 2 years have been extremely difficult to say the least. Around this time last year we really hit a rough patch as a result of the extreme school stress we were both under and distance between us. It took a toll on our relationship. I began having doubts and felt that I stopped caring as much about the relationship. Around this same exact time I met someone at work who I developed a connection with and then he told me he had feelings for me. Nothing ever came of that and I made sure to end all communication with this person but it added to my doubts about my own relationship because I came to find I was enjoying the attention and desire I was receiving from this other person. My fiance returned from school later that month and we got engaged a few weeks despite the struggles we were facing.I remember crying before getting engaged because I was just so overwhelmed by how I was feeling. I cannot help but feel immense sadness and regret that I was having doubts or that my engagement was anything less of what I had always expected it to be. I also feel upset at the fact that I ever even considered having feelings for another person. This crosses my mind every single day and as much as I try to move past it and enjoy my engagement I cannot. Is this relationship anxiety that I was having? Is this a red flag that something is wrong with the relationship or something is wrong with me?